Eco-Freezer freeze spray is formulated with new HFO-1234ze propellant, with a fraction of the global warming potential (GWP) of HFC-134a based freeze sprays. HFO-1234ze has a GWP of 6, compared to HFC-134a with GWP of 1300. 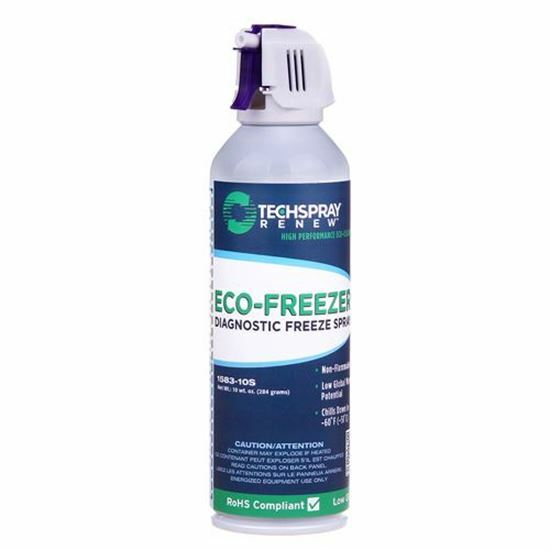 Eco-Freeze can be a drop-in replacement when GWP needs to be lowered.